A Love Caught in the Fire of Revolution. David Lean's Doctor Zhivago is an exploration of the Russian Revolution as seen from the point of view of the intellectual, introspective title character (Omar Sharif). As the political landscape changes, and the Czarist regime comes to an end, Dr. Zhivago's relationships reflect the political turmoil raging about him. Though he is married, the vagaries of war lead him to begin a love affair with the beautiful Lara (Julie Christie). But he cannot escape the machinations of a band of selfish and cruel characters: General Strelnikov (Tom Courtenay), a Bolshevik General; Komarovsky (Rod Steiger), Lara's former lover; and Yevgraf (Alec Guinness), Zhivago's sinister half-brother. This epic, sweeping romance, told in flashback, captures the lushness of Moscow before the war and the violent social upheaval that followed. 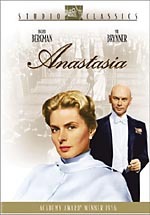 The film is based on the Pulitzer Prize-winning novel by Boris Pasternak. David Lean experienced an amazing run from 1957 to 1965. Over that period, he produced three movies that all made the original AFI Top 100 list: 1957’s The Bridge on the River Kwai (#13), 1962’s Lawrence of Arabia (#5), and 1965’s Doctor Zhivago. Alone, this feat seems less significant. To my surprise, I discovered that 10 other directors have at least three films in the AFI 100: in addition to Lean, we find that many offerings from Steven Spielberg, Billy Wilder, Francis Ford Coppola, Martin Scorsese, John Huston, George Stevens, Alfred Hitchcock, Stanley Kubrick, William Wyler and Frank Capra. Amazingly, those 11 directors account for 37 percent of the 100 movies. Most of them placed three entries, but Wilder and Hitchcock tallied four apiece, while Spielberg landed a whopping five of the 100. Based on that viewpoint, Lean’s accomplishments seem almost commonplace. Spielberg earned the crown with the most entries, and he also almost nailed the longest consecutive string. He put out four of his five in a seven-year period. He started with 1975’s Jaws, moved to 1977’s Close Encounters of the Third Kind, and later added 1981’s Raiders of the Lost Ark and 1982’s ET the Extra-Terrestrial. Unfortunately, 1979’s miserable 1941 - a film more likely to make a Worst 100 list than a Top 100 chart - broke the string. Still, four out of five is pretty amazing. The additional aspect of Lean’s run that makes it stand out relates to the recognition it received at the time. Spielberg had to wait for his fifth AFI title, 1993’s Schindler’s List to finally snare Best Picture and Best Director Academy Awards. (He also earned Best Director for 1998’s Saving Private Ryan, a movie that came out after the creation of the AFI list, but Shakespeare In Love beat it for Best Picture.) In his storied career, Hitchcock never won a Best Director Oscar. In fact, only one of his flicks, 1940’s Rebecca, took home a Best Picture. Unfortunately for Hitch, John Ford took home the BD award for another AFI 100 flick, The Grapes of Wrath. This is what makes Lean’s run so special. Not only did he knock out three consecutive AFI 100 titles, but also each earned Best Picture and Best Director nods as well. Both Lawrence and Kwai grabbed each of those awards, but Zhivago came up short; it was shut out in both categories by Robert Wise’s The Sound of Music. In the end, Zhivago won for five of its 10 nominations. That gave it the worst percentage of the three Lean films in question. Lawrence received seven awards for 10 nominations, while Bridge earned seven nods out of eight possibilities. Personally, I think there’s a good reason Zhivago fared worse at the Oscars: it’s not as good a film as its predecessors. While I generally enjoyed Zhivago, I thought it was only sporadically engaging; I respected it, but I wasn’t very fond of it. Zhivago conducts most of its story through a flashback. At the start of the film, we meet General Yevgraf Zhivago (Alec Guinness), a Soviet military official who searches for the daughter of his half-brother Yuri Zhivago (Omar Sharif). He thinks he’s found her, and he proceeds to tell her the history of Yuri and Lara (Julie Christie), the couple that may or may not be her parents. Mostly the film focuses on Yuri, as we see a little of his childhood and then follow him through adulthood. When his mother dies, young Yuri goes to live with family friend Alexander Gromeko (Ralph Richardson) and his seven-year-old daughter Tonya (played by Mercedes Ruiz as a child and Geraldine Chaplin as an adult). We soon fast-forward many years to the time right around the start of World War I and the subsequent Russian Revolution and find that Yuri’s now a young doctor (duh!) as well as a semi-noted poet and he’s hooked up with Tonya, something that still kind of creeps me out; no, they’re not related, but they were raised virtually as brother and sister. Anyway, leading a parallel life is Lara, who lives in Moscow with her mother and who dates young revolutionary Pasha (Tom Courtenay). Her mom has a thing going with important businessman Komarovsky (Rod Steiger) but he and Lara become an item, in a crude, nasty manner. This inspires despair in both mom and daughter; though the latter’s not aware Lara is the one with Komarovsky, she knows he’s bedding someone else and takes severe measures. As does Lara at one point, though she avoids punishment and eventually marries Pasha and heads out of town. The paths of Lara and Yuri almost cross many times, but they don’t get to know each other until wartime duty calls. Yuri works as a doctor and Lara as a nurse, and they become very close during this period. Lara also thinks she’s been widowed, though that may not necessarily be true. The two really hit it off, but Yuri returns to wife and child when discharged. There he discovers a much less pleasant Moscow than the one he once knew. Gone is his lavish high-class lifestyle, as the Bolsheviks have partitioned the opulent house he shared with Gromeko and Tonya, and food shortages make life tough for everyone. Eventually they decide they can’t take it there any longer so they attempt to move to an old country estate. Unfortunately, the ruling revolutionaries have claimed it as well, so the three adults and the kid are left to live in a small shack on the property. Nonetheless, they make the best of things, and Yuri really gets happy when he finds that Lara lives nearby. They start an affair but Yuri’s unable to cut the apron strings with Tonya, who really is a decent woman; her only fault is that she isn’t Lara. Anyway, this continues until Yuri’s literally grabbed off the street and drafted back into the military to doctor for the revolution. Eventually, he returns home but finds that Tonya and the others have left. Still, Lara’s there, so he hops onto her like a Russkie onto vodka! At this point, I’ve probably given away more than I should, so I’ll leave the finale alone. However, I don’t think anyone will be surprised by most of these events, since the opening of the movie left no doubt that Yuri and Lara would eventually connect. I likely could have simply summarized Doctor Zhivago as a love triangle set against the backdrop of the Russian Revolution. Honestly, I’d have preferred a story about the Russian Revolution that featured a little bit of a love story. When the tale focused on the historical events, I thought it seemed very compelling and interesting. I’ve always felt that the world-shaking events are best viewed on a smaller, more personal level, which is why I thought so much of something like Sophie’s Choice, and when Zhivago dealt with that side of things, it worked quite well. Lean was able to succinctly relate the events of the Revolution. They rarely received graphic exposition, but he brought out the important elements and let us see their impact on real people. Since Zhivago took the point of view of the privileged class, it might seem less valuable as an examination of the Revolution’s effects, but I think this approach actually made the alterations more visible. We saw a stronger impact, since the wealthier folks were hit harder by their fall. Again, when Zhivago dealt with that side of the story, I found it to be intriguing and compelling. However, when it focused on the romantic elements, it did much less for me. Part of this may relate to the fact I’m just not much of a fan of stereotypical “chick flicks”. Occasionally I’ll like the love story parts of a tale; for example, I became surprisingly involved in those aspects of Titanic. However, such instances remain rare, and the love triangle of Zhivago really didn’t snare me. Perhaps this was because Yuri came across as something of a jerk. No, there’s nothing overt in his portrayal that made him appear that way, as he remains the stalwart dream man for much of the movie. I can see why most women would give their eye teeth for a guy like this, as he virtually defines the fantasy man: a hunky doctor who’s a sensitive poet to boot! I suppose we’re meant to see his affair with Lara as “fate” and inevitable, for they’re destined to be together, if only for a short while. Frankly, I couldn’t understand what was so great about her that Yuri’d toss over the fairly-babely Tonya. Sure, Lara’s hot too, but I never saw anything about her that made her seem so irresistible. Had Tonya displayed some problematic characteristics, the story would have worked better. In a way, I respect the fact that Zhivago made Tonya a good person, for that meant Yuri’s dilemma was bigger, and it allowed the drama to potentially be more heart-wrenching and realistic. It’s one thing to ditch your wife when she’s a shrew, but if she’s nice, smart and supportive, it’s not quite as simple. Unfortunately, although this meant that Zhivago had some depth, those elements never really came to the surface, mainly because I didn’t think the connection between Lara and Yuri appeared that strong. It just looked like wartime hormones to me, and the manner in which Lean toyed with us prior to their connection felt manipulative. Lara and Yuri almost meet many times, and since we already know they’ll eventually connect, this element became tiresome. Eventually I just wanted to say “enough already” and have them get together; the endless tease was annoying and pointless since they never really appeared to be the great couple of destiny. On the positive side, Zhivago did present an epic in the appropriate manner. This is the kind of movie they really can’t make any more, as it showed the breadth and depth of the environments in a stunning manner. Zhivago was never less than impressive to watch. The actors all fared pretty well, and I was especially impressed with Steiger. I always saw him as a very American performer, but he pulls off his accent well and he alters his demeanor to become more elegant and charismatic than I imagined. Actually, I didn’t even recognize him through much of the film, as it took me a while to realize it was him. The other actors vary from “fine” to “very good”, but Steiger stood out as the best. In the end, however, I thought Doctor Zhivago represented a triumph of style over substance. Lavishly produced and gorgeously filmed, the movie consistently presented a lush and involving presence, but the characters at its heart did little for me. The film kept me adequately involved and interested through its conclusion, but despite the vaunted nature of its love story, I felt the romantic elements seemed somewhat flat and unimpressive. Zhivago had its moments, and I thought the movie offered a reasonably entertaining experience as a whole, but I didn’t think it was a great film. Like another overrated film called Gone With the Wind, this is a soap opera; it’s a pretty good soap opera, and I definitely prefer it to Wind, but it’s still just romantic melodrama. Sidebar: is it just me, or did Julie Christie in Zhivago often look eerily like Peter O’Toole in Lawrence? 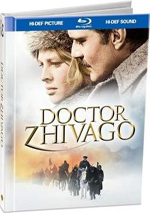 Doctor Zhivago appears in an aspect ratio of approximately 2.40:1 on this Blu-ray Disc. I felt very pleased with this consistently strong transfer. Sharpness usually looked excellent. A few slightly soft shots materialized, but these remained minor, and I suspect that they stemmed from the source footage. Jagged edges and shimmering failed to occur, and edge haloes remained absent. Source flaws weren’t a factor, as the presentation lacked specks, marks or other distractions. Mostly due to its often lush costumes, Zhivago boasted a vivid and varied palette, and the Blu-ray reproduced these tones to excellent effect. Throughout the film, colors looked vibrant and rich. Pinks and purples came across especially well, and reds were also solid and distinct. Really, the hues seemed absolutely gorgeous. Black levels seemed equally terrific, as they consistently appeared dark and dense, while shadow detail looked appropriately heavy but never overly opaque. Even with the mild softness that occasionally materialized, I still felt that this was a top-notch transfer. While the DTS-HD MA 5.1 soundtrack of Doctor Zhivago didn’t live up to that level, it still seemed quite good for its age. For the most part, the soundfield maintained a forward bias, and the center channel dominated the experience. However, quite a lot of audio emanated from the side speakers. A modicum of directional dialogue occurred, and Maurice Jarre’s score provided nice stereo separation. Effects tended toward general ambience, but at times I heard some elements that moved from side to side, and they blended together reasonably well. As for the surrounds, they remained fairly subdued for much of the movie. The rear speakers mostly offered reinforcement of the music and effects, and they didn’t usually provide unique audio. Still, they contributed a nice layer of atmosphere to the presentation and they complemented the package reasonably well. Audio quality seemed to be good for its era, though some areas fared better than others. Dialogue appeared generally distinct and acceptably natural. Though some brittleness accompanied the speech at times, I found no concerns related to intelligibility and I thought the words sounded fine for the age of the recording. Effects demonstrated similar tones, as those elements seemed decently clear and accurate, but they showed some thinness much of the time. Still, parts of the track such as the hoof beats of horses offered a nice rumble, and the effects always came across as clean and without distortion. The score fared best. The music presented very good dynamics and clarity, and it always appeared rich and robust. I was quite impressed with the fidelity of Jarre’s work, and it created the true highlight of the mix. I noticed a little background hiss at times, but this wasn’t a major distraction. Ultimately, Doctor Zhivago provided a very satisfying soundtrack for its age. 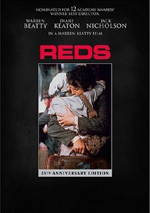 How did the picture and audio of the Blu-ray compare to those of the DVD from 2001? Both movies offered similar sound, which I expected. The lossless DTS-HD mix might’ve been a little more dynamic, but not by much. On the other hand, the visuals provided obvious improvements. While the old DVD offered a terrific SD transfer, it couldn’t compare to the tightness and vivacity of the Blu-ray. It’s still pleasing, but the Blu-ray gives us a definite step up in visual quality. The Blu-ray mixes old and new extras. I’ll mark Blu-ray exclusives with special blue print. We open with an audio commentary from actors Omar Sharif and Rod Steiger plus Sandra Lean, the director’s widow. Sharif and Lean were recorded together while Steiger was taped separately for this track. Overall, I found this commentary to offer a lot of good information. The Sharif/Lean segments dominated the disc, and Sharif provided most of the notes during those segments; Steiger’s remarks cropped up mainly when his character appeared on screen. The tenor of the statements from all three participants seemed similar, as they largely focused on anecdotes from their experiences on the film. These provided a solid little overview of the production itself, as their information added many details about the shoot, with a particular emphasis on Lean himself. If I had to complain about the commentary, I’d focus on the many empty spaces that occurred. Quite a lot of the film passed without any remarks; I wouldn’t hazard a guess as to the percentage of blank spots, but they appeared frequently enough to be very noticeable. Nonetheless, due to the extreme length of the movie, I can forgive the pauses pretty easily, especially since the information presented seemed so good. The gaps made the commentary a little tedious at times, but the details meant that it definitely was worth a listen. Next comes a new program entitled Doctor Zhivago: A Celebration. In this 40-minute, four-second two-part documentary, we get notes from filmmakers Nicholas Meyer, Gary Ross, Mikael Solomon, Martin Campbell, Taylor Hackford, Kathleen Kennedy, and author/film historian Stephen M. Silverman. The show covers aspects of the film’s production, cast and crew, story/character issues, and its release/reception. Based on its title, you should expect “Celebration” to offer an appreciation piece, but it’s not a simple heaping of praise. The program offers an introspective look at Zhivago and gives us a good perspective on its various elements. The insight into the movie makes it a useful documentary. The second platter provides a DVD that literally replicates Disc Two from the 2001 release. Hosted by Sharif, the 60-minute and 20-second Doctor Zhivago: The Making of a Russian Epic combines a few very short movie clips as well as lots of archival film footage and stills plus mid-Nineties interviews with actors Sharif, Geraldine Chaplin and Steiger, set designer John Box, screenwriter Robert Bolt, composer Maurice Jarre, costumer Phyllis Dalton, as well as some 1993 comments from the “real Lara”, Olga Ivinskaya. On the negative side, parts of “Epic” repeat stories heard during the commentary. Actually, I think Steiger’s statements come from the same interviews used for his commentary track, so his parts really repeat the prior data. Nonetheless, some of this repetition was inevitable, and it didn’t terribly interfere with my enjoyment of the piece. Actually, “Epic” starts slowly but it becomes more interesting as it progresses. We learn the origin of the film and get some basics about the life of author Boris Pasternak, which is where we get the skinny from Ivinskaya. After that, we discover a lot of good anecdotes about the production and obtain a generally compelling overview of the making of the movie. Overall, the program seems entertaining and informative, and I liked it. Also glimpsed briefly elsewhere, we find a Geraldine Chaplin Screen Test. This three-minute and 13-second clip shows two takes of the actress as she tries out with the scene in which she reads Yuri’s letter from the war. It’s a nice look behind the scenes and was very interesting. Next we find a slew of Vintage Documentaries. 10 of these appear, though they don’t offer much of value. The first three feature very similar programs. We get “Zhivago: Behind the Camera With David Lean” (10 minutes and 10 seconds), “David Lean’s Film of Doctor Zhivago” (seven minutes and 10 seconds), and “Moscow In Madrid” (four minutes and 25 seconds). All of these essentially promote the film, though they had some minor variations. “Camera” includes a few shots of Lean as he addresses the camera, while “Film” features a few comments about the life of author Boris Pasternak. However, all three basically are glorified trailers that offer exceedingly little information about the movie, though they do toss in a few decent shots from the set. Somewhat more substantial is “Pasternak”, an eight-minute and 50-second look at the life of the writer. It gives us a decent little view of his life and career, though it also sneaks in some of the same movie-related puffery that showed up in the prior featurettes. Still, it’s a nice basic biography that helps put Zhivago in perspective. The best of the vintage bunch are two unedited interview pieces from the day before the movie’s premiere. “New York Press Interviews Julie Christie” lasts 10 minutes and five seconds, while “New York Press Interviews Omar Sharif” goes for 18 minutes and 50 seconds. Not a lot of strong information appears in these pieces, but they’re still very entertaining. Christie looks rather uncomfortable as she fields inane questions from the press, while Sharif appears much more at ease. He gets just as many dopey inquiries, but he seems much more tolerant of the silliness. In any case, I liked these little pieces of publicity. Less compelling are the remaining brief promotional bits. “This Is Julie Christie” (64 seconds), “This Is Geraldine Chaplin” (67 seconds), and “This Is Omar Sharif” (96 seconds) do little more than introduce us to the actors and tell us how stunning they are. “Chaplin In New York” runs two minutes and 14 seconds and follows the same path. None of them do anything other than superficially tout the film and the performers, and they offer little of interest. 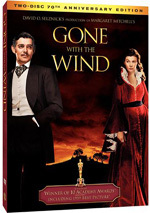 The disc provides the film’s “Original General Release Theatrical Trailer” as well as a text listing of “Awards” for which Zhivago was nominated and/or won. A third disc gives us an eight-track version of the film’s soundtrack CD. It features “Overture” (4:22), “Lara’s Theme (Main Title)” (2:38), “Komarovsky with Lara in the Hotel” (3:51), “Military Parade” (2:11), “Lara Says Goodbye to Yuri” (1:27), “Tonya and Yuri Arrive at Varykino” (2:56), “Yuri Is Escaping” (2:17) and “End Title (Then It’s a Gift)” (1:43). This bonus CD doesn’t do a lot for me, but it’s a good little treat for fans. Finally, we locate a hardcover book. This comes as part of the package; open up the disc’s casing and the book appears in the middle between the two platters. (The CD comes in a sleeve attached to the back of the case.) The book features a mix of components. It presents a couple of short essays about the film, trivia, and biographies for Omar Sharif, Julie Christie, Geraldine Chaplin, Rod Steiger, Alec Guinness, and David Lean. It also provides various photos and movie publicity. The book adds a nice touch of class to the set. Does the Blu-ray lose anything from the DVD? Yup. It drops a fairly useless introduction from Omar Sharif and also omits an isolated score. I don’t miss the former, but the absence of the latter is a disappointment. As a whole, Doctor Zhivago presented an epic with terrific production values and a number of interesting segments. However, my ultimate reaction to the film was that it left me a little cold. I found parts of it to be compelling, but the romantic triangle at its heart did little for me; frankly, I didn’t care much what happened to the lovers. At least I felt pleased with the Blu-ray. It boasted excellent visuals, solid audio and a generally nice complement of supplements. This is a top-notch release, and the picture quality was a big step up over the DVD. However, movie score fans will still want to hold onto the 2001 package; it includes an isolated score that goes missing here. That’s too bad, but Zhivago fans will be pleased with the presentation of the film itself.